It was a time before Terlingua Ranch and chili cook-offs, and you could drive a hundred miles without seeing another vehicle or another person. 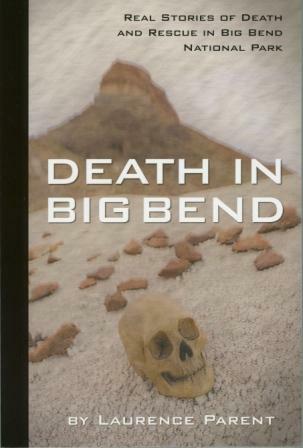 The year was 1961, and the tides of humanity which ebbed and flowed into the lower reaches of the Big Bend were at their historical nadir. It was a vast, empty land spotted by isolated ranch headquarters, a national park with few visitors, and the many ruins of a past shrouded in legend, lore, and improbable truths. There was no television, no daytime radio, few telephones, and very few people. 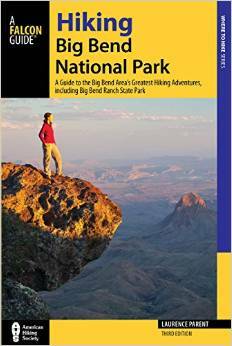 Ben H. English came to the Big Bend at the age of two, the fifth of six generations of his family to call this enigmatic region home. With his family headquartered at the old Lajitas Trading Post, he worked and lived on ranches and places now little more than forgotten dots on yellowing maps. He attended the one-room schoolhouse at Terlingua, prowled the banks of the Rio Grande, and crisscrossed the surrounding areas time and again on horseback and by foot. Some fifty years later he writes about those many decades ago, as well as the history and legends of this singular land he knows so well. Ben separates fact from fiction and brings the reader into a world that few these days can ever imagine, much less experience. 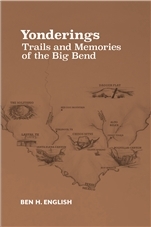 He also writes about the lower Big Bend as it is found now, and what one can still rediscover just over the next rise. Texas Christian University Press, 2017. 6" x 9" softcover, 223 pages with 20 b&w photos.